Traffic Logix recycled rubber speed cushions or lumps are a series of small speed humps installed across the width of the road. Designed to be wide enough to slow cars while narrow enough for emergency vehicles to straddle, speed lumps are ideal for streets where emergency response time is a concern. Speed cushions slow cars to between 15-20 mph. 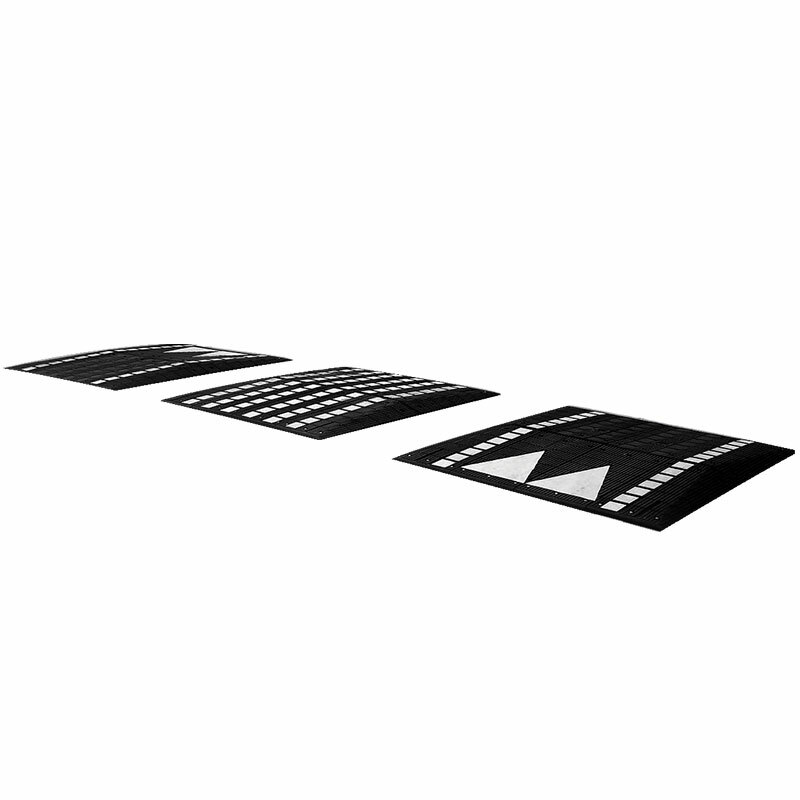 Made of interlocking units that simply snap together, Traffic Logix speed cushions are quick and easy to install. 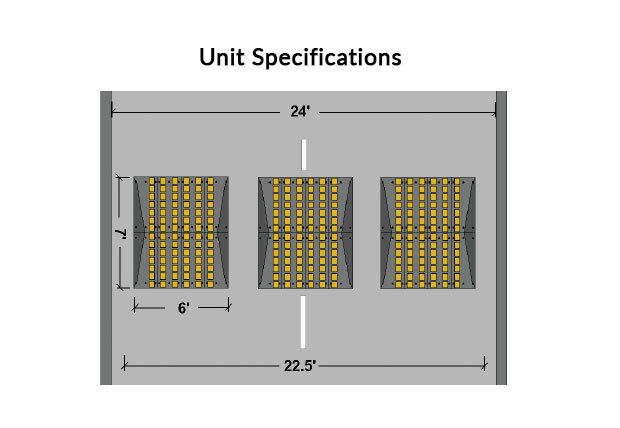 Typically 3” high and 3.5’ long, speed cushions are an innovative solution that can help stop speeding without slowing emergency vehicles. Markings are embedded into rubber during manufacturing process. Reflective material in Yellow or White Squares or Reflective material in White Arrows or in combination. Yellow arrows are not available. 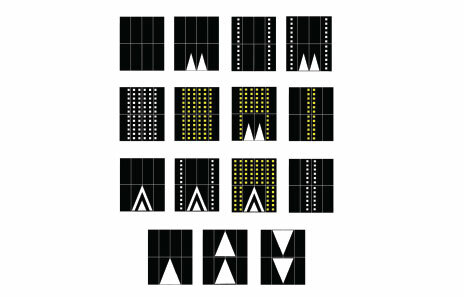 Markings Rubber modules are available in all black, black with yellow or white reflective square markings, or with white reflective arrow chevrons. Speed cushions aim to slow cars just as speed humps do but without interfering with emergency vehicles. It’s easy to be wary of that claim. Can’t other vehicles straddle the cushions too? Can emergency vehicles really ride over them without slowing? For speed cushions to be effective, the sizing has to be precise; narrow enough for emergency vehicles to straddle but wide enough that typical vehicles can’t. At 72”, the Traffic Logix rubber speed cushions do just that. The chart below outlines typical vehicles wheel tracks, demonstrating the premise that Traffic Logix speed cushions are effective in slowing traffic, while narrow enough for typical ambulances and firetrucks to ride right over.